Does your daughter’s doll need more outfits for her wardrobe? Now she and her doll can dress alike in mermaid tail sets featuring our vibrant Malibu Pink design! Two-piece doll size set includes tail and top. Doll not included. 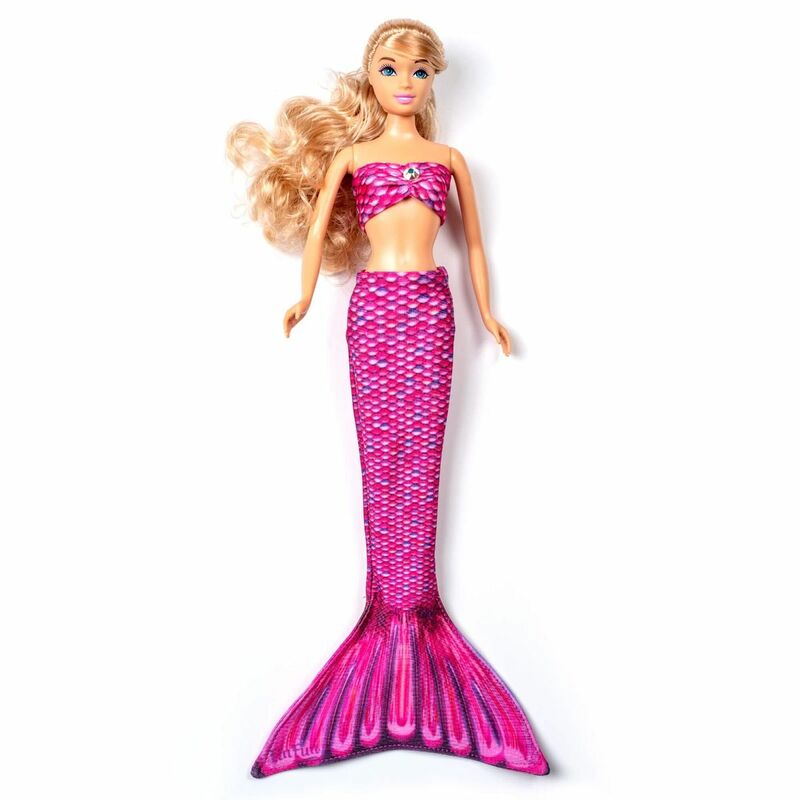 Made from fabric that matches our full-size swimmable mermaid tails, this mermaid doll tail set for 11.5-inch fashion dolls will spark the imagination of kids who live for playtime! Featuring bright pink and purple scales that truly liven up the fashion doll scene, our two-piece set comes in a stretchy mermaid tail and top set for easy dress-up.